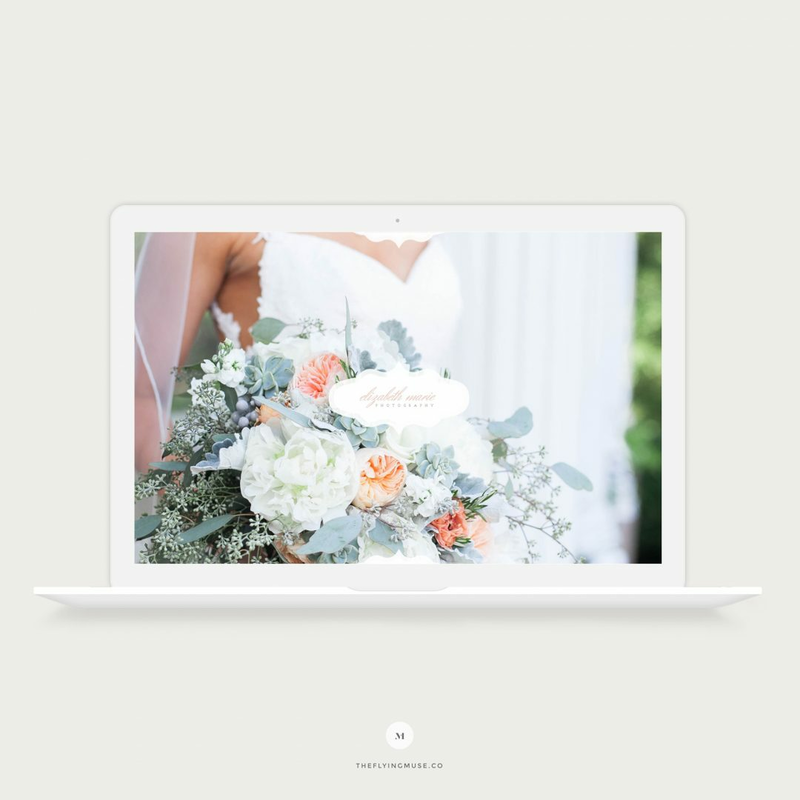 Elizabeth Marie for ProPhoto 7 is a design with a vintage flair for wedding photographers with elegant elements making sure your brand attracts your dream client. A Reviews page to show off kind words and testimonials. * Templates require you to have a working knowledge of Photoshop & ProPhoto in order to use & customize them. All customization, setup, and installation is done by you (the purchaser). Installation, setup, and customization available for an extra fee. * featured photography by Ashley Peterson Photography. Although we take great care during our design process and make sure every single bit is polished, a final check from you is necessary prior publishing or printing your final materials. Colors between monitors and printers can vary a bit. Before sending your files to your printing vendor or lab, it is always a good practice to run a test print with your home or office printer. Additionally, Please make sure you double-check the templates for sizing, colors, bleed lines, safe zones and fonts before printing or publishing. the Flying Muse will not be held responsible for printing or any errors on your part. the Flying Muse templates are NOT checked by a lawyer. Please check your copy with a local lawyer prior issuing and using this template for your business. the Flying Muse will not be held responsible for any legal matters which may arise. You will need basic knowledge of Adobe Photoshop in order to use or make changes in templates. All designs are owned by the Flying Muse. This template is copyrighted by the Flying Muse and all credit for the designs must be attributed appropriately. Selling, sharing, distributing or claiming these files as your own without a written permission is strictly prohibited . Photography and images shown in the demo are owned by featured photographers and/or vendors. Photography shown in the demo is not distributed with this purchase and copyright remains at its owner. By purchasing this file you accept these terms and conditions and shop policies. After purchase, your files will be available for instant download. As soon the payment has cleared and is confirmed by the payment processor, you will receive an e-mail containing information how to access files. All files are packed in .zip format. You will need to know how to unzip a .zip file to access files. This is a digital product only – no physical product will be sent. If you are looking for a custom design, I’d be happy to help! Just fill in your information in the form below to get in touch. You can expect a response within 2 – 3 business days.